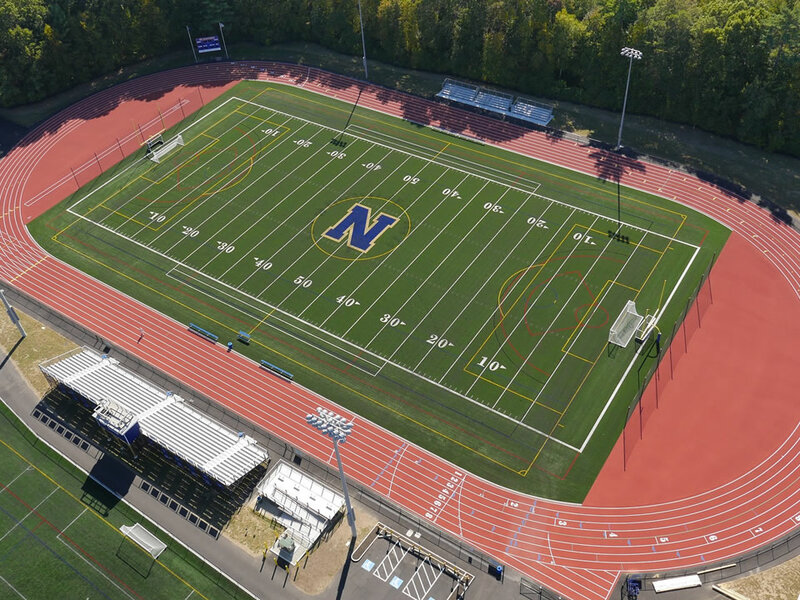 New Eight Lane Beynon BSS-100 track surface at Norwell High School, MA. In addition to the BSS-100 permeable polyurethane surface system, the facility features 8 full lanes, two full D zones dedicated to high jump (with one alternate pole vault runway), four horizontal jump runways, two dedicated pole vault runways, and external throws (including hammer). 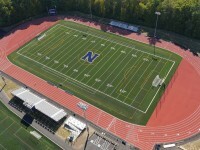 The facility was built to NFHS standards by RAD Sports of Rockland, MA and designed by Gale Associates of Weymouth, MA.